Mr. Tin Ko Ko has been the coordinator of Kings N Queens since 2011, where he actively develops activities and networks with other organizations in the pursuit of equal LGBT rights. The 2014 Fellow has a wide experience in voluntary work, proving his dedication and motivation to help those in need. Furthermore, Tin has an interesting portfolio of trainings he attended to enhance his capabilities. Areas of specialization include human rights and advocacy, leadership and communicative skills. The Project: To raise of awareness of the TG community concerning their legal rights to prevent them being targeted by police abuse. Tin Ko Ko developed guidelines when encountering abuse and establish a list of supportive contacts for these situations. 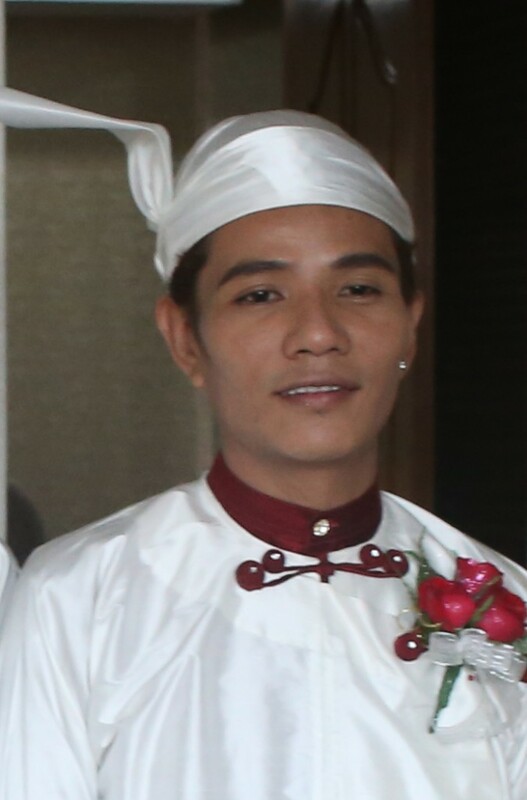 In order to reduce human rights violations within the transgender (TG) communities in Myanmar, Mr. Ko Ko organized three workshops in townships, to highlight TG community’s situation via theatre performance, and to organize a Transgender Day of Remembrance on November 20th for TG victims of violence. Results: During his fellowship, Mr. Ko Ko held a two-day legal awareness training where participants learned about legal defence rights. Participants explained the problems that exist within the legal system, such as police officers asking people who have been arrested for bribe money to obtain their release. The discussion leaders educated the participants on how to deal with these issues. They also discussed the complaint procedure that they can use in order to start legal action to address violations of human rights. Also, a public event was held to educate citizens about the LGBT community, many of whom were unaware about the nature and struggles of the community. During this event, the idea that LGBT rights are also human rights was presented. Mr. Ko Ko has also been working more closely with many groups such as the Myanmar National Human Rights Commission and the United Nations. One of his greatest accomplishments during his fellowship was working for a transgender woman who was arrested for violating a code of the Rangoon Police Act. After her arrest, police offered a bribe while in custody. She declined since she knew that she was innocent. According to the police, she was waiting in the shadow of a back street (violating Section 30 (d) of the aforementioned act). All of the eye-witnesses, however, said that the woman was actually arrested beside the road. Due to this evidence, it was pointed out that she did not violate the act and she was subsequently acquitted. Tin KoKo and the Kings N Queens group are actively involved in the “Stop Gender Based Violence” Movement in Myanmar. This organisation works with other organisations and networks participating in International Women’s Day activities. Kings N Queens uses this platform to promote public awareness about LGBT issues through performance and role play. They also organise an open LGBT discussion group that encourages the participants to share their personal experiences and brain storm about the social challenges for LGBT people. Along with these discussions they have also been conducting rights training awareness covering access to justice for LGBT individuals in Myanmar.